There’s high drama taking place in front of us. There’s a woman being attacked, two former lovers fighting, a father and son having a serious row, a religious leader creating a scene and a crowd of people commenting on all that is going on. And, when there are stops for pauses, a man hugging a green folder might step in and have a quick chat with someone. 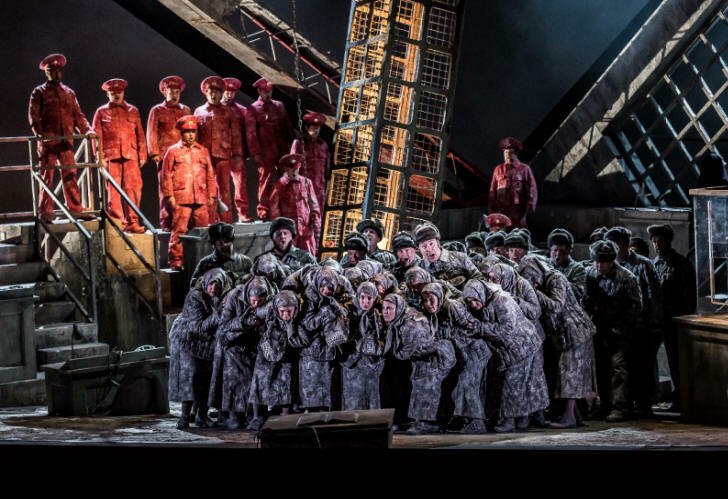 This is the first week of rehearsals on set for Welsh National Opera’s autumn season and the scene we are watching is from early in Musorgsky’s political opera Khovanshchina. And the man who has now returned to a chair to watch the scene is the show’s language coach John Asquith. 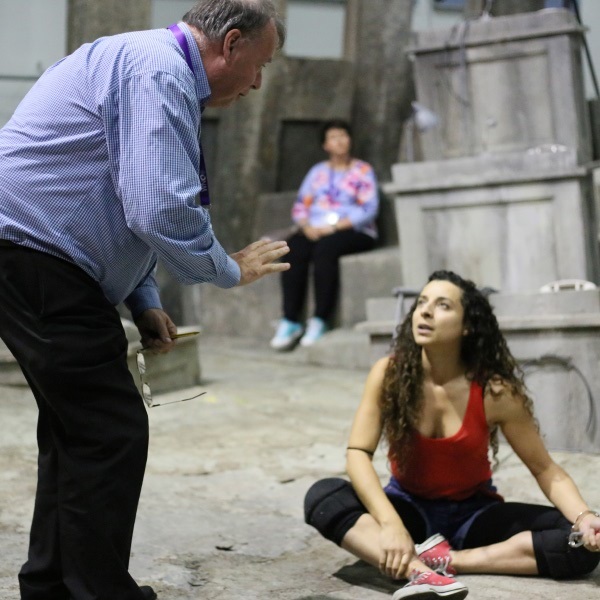 A linguist and musician, John’s role is to ensure that all cast members from the chorus to the soloists have mastered their Russian – the language of Musorgsky’s opera. By this point John has been working with the singers for more than four weeks and is only making slight tweaks as most have clearly been doing their homework. 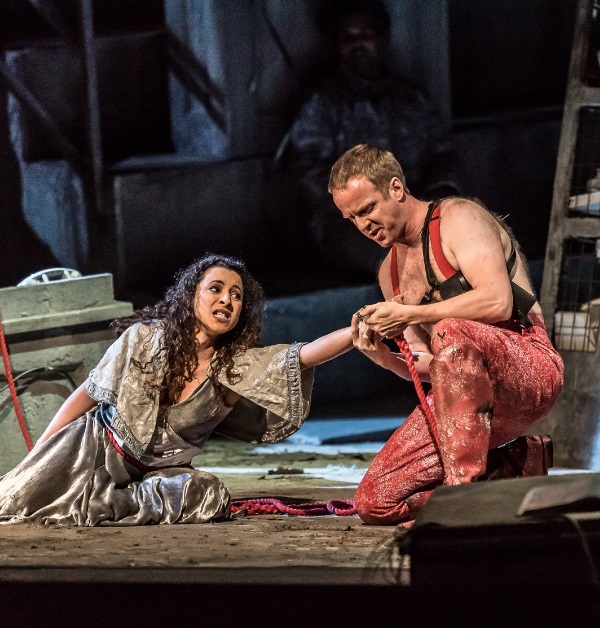 Russia is a theme in the autumn season for Welsh National Opera. Alongside Khovanshchina the company is performing Tchaikovsky’s great love story Eugene Onegin and Janáček’s From the House of the Dead which is based on Russian writer Dostoevsky’s prison diaries. While From the House of the Dead is sung in English, the two Russian epics are sung in their original language with English surtitles – which does pose some demands for the singers. There is no translation in this score, only transliteration, but alongside this process the cast are also learning the meaning of the text. “Some singers like a word-for-word translation and that is really difficult in Russian because very often a word-for-word translation would look like gobbledegook,” adds John. “But they do need to know what they are singing. Almost all Russian opera has a social or political context so the singers do need some background and advice. For example with Eugene Onegin it could just be seen as a series of scenes of country life but actually underneath there’s a lot of sharp social criticism. Once the singers have the grasp of the text, they then need to replicate the sounds of the Russian language which brings its own challenges. John, who studied both Russian and music in St Petersburg when the city was still called Leningrad, says that sometimes his first job is to convince the singers that they can master singing in Russian. Claire Wild (Emma) and Adrian Dwyer (Prince Ivan Khovansky) in Khovanshchina. From that point on John then works with the singers, whether soloists or the chorus, to perfect the detail. “It’s the language coach’s job not to criticise but to explain, to correct and encourage and support. You gently, gently push. It can’t all be done at once. You explain at the beginning and then correct maybe 10 per cent of mistakes that day and then you correct a few more. And then you often find that later down the line some of the mistakes correct themselves as the pattern has been learnt. John’s satisfaction with the chorus has followed intensive work on both Khovanshchina and Eugene Onegin. In fact the cast were already working on these shows when they were touring the country, including Birmingham, in June. And John says working with a chorus has its own dynamics. And with the cast now rehearsing three operas, John is being kept busy. Just hours before attending the full chorus rehearsal he was sitting round a piano with a handful of the Khovanshchina soloists as they rehearsed a different scene.